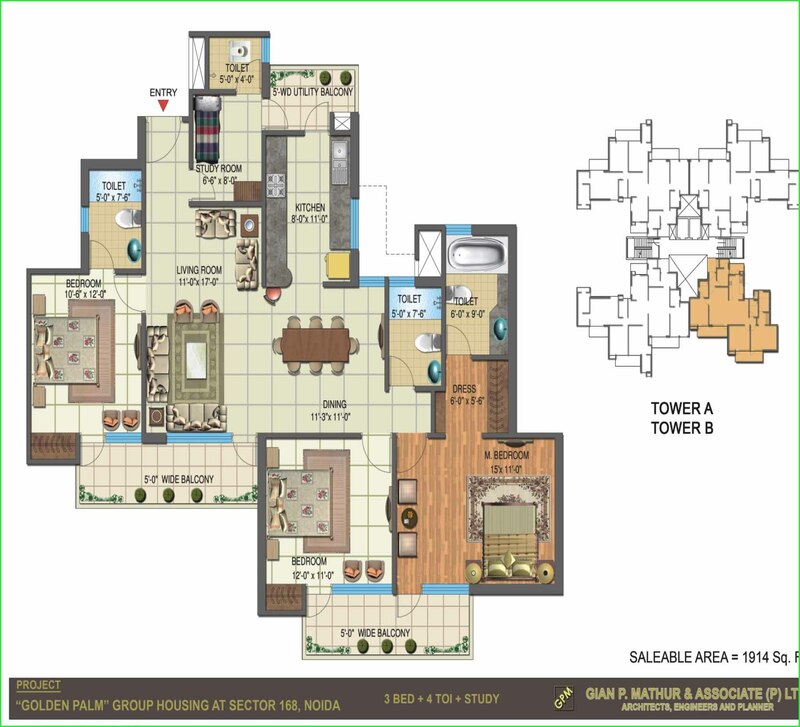 “The Golden Palms” is catering all segment of buyers by providing them studio (506 sqft), 1bhk, 2bhk (1085 sqft),3bhk (1554 sqft) & (1914 sqft) and 4 bhk (2473 sqft). 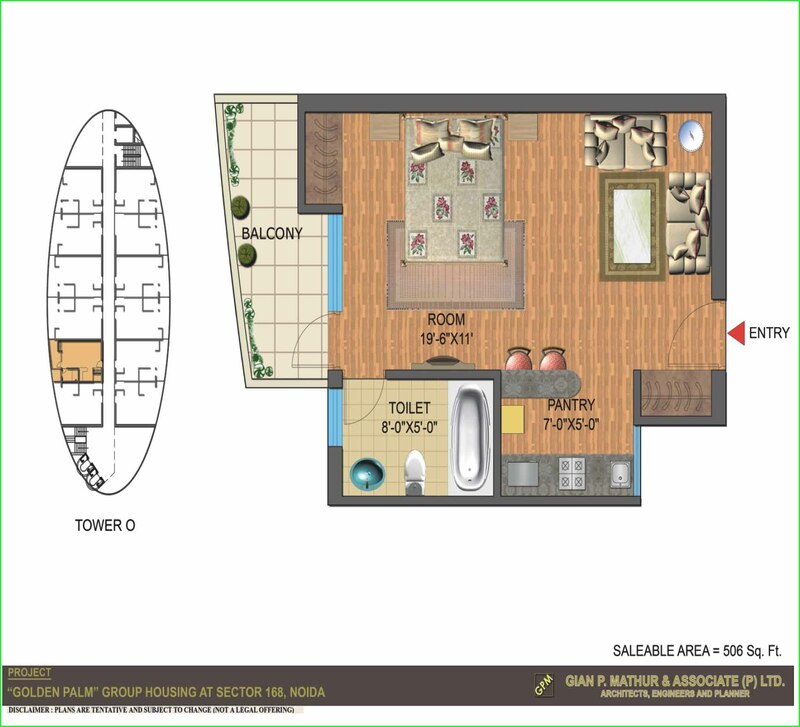 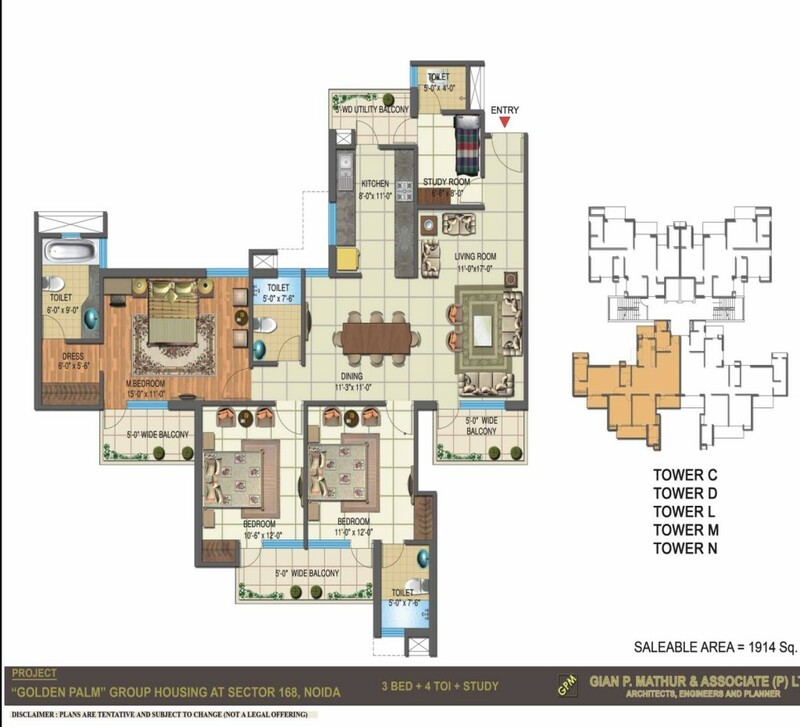 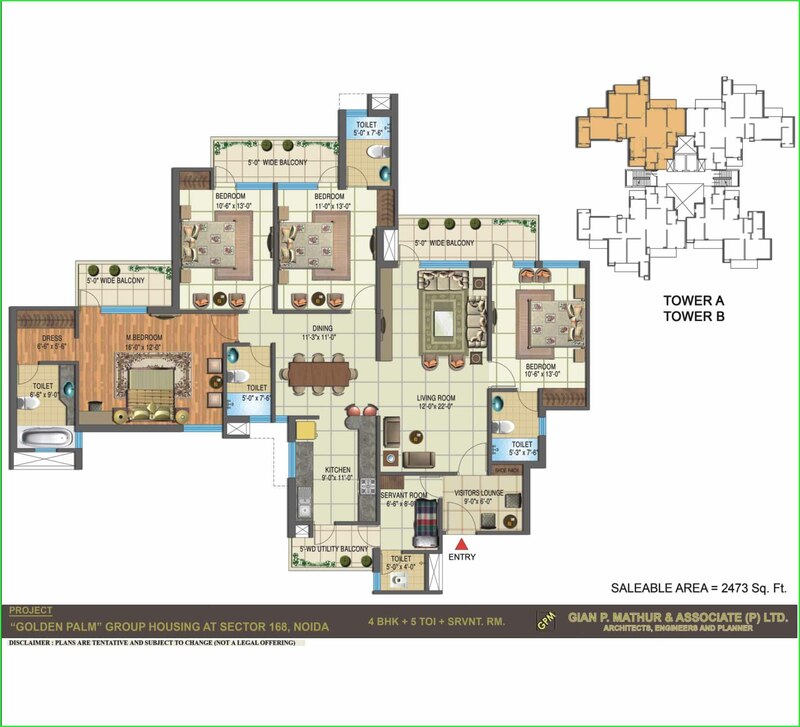 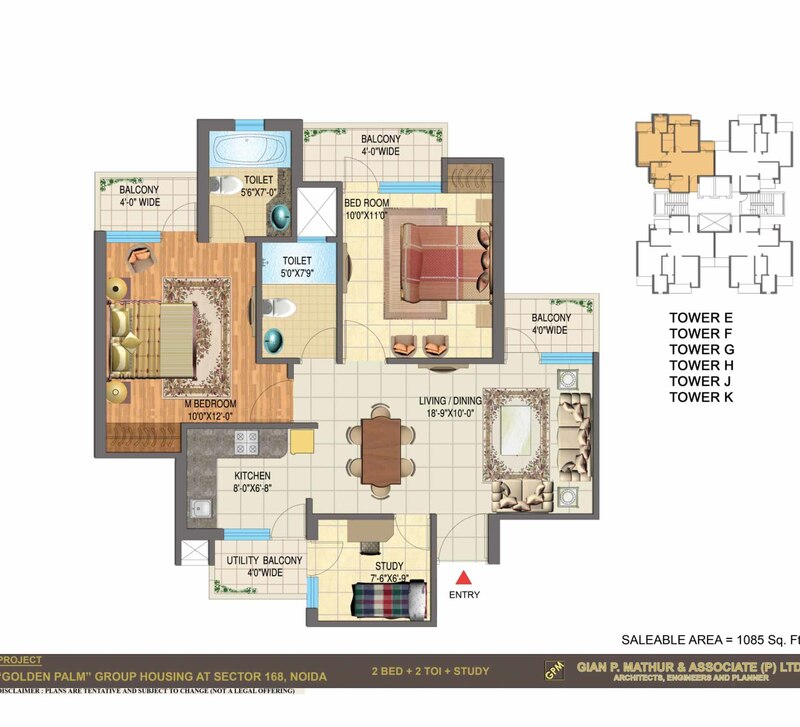 As this project is designed by Mr. G P Mathur, the floor plans are vastu friendly and it has been tried to utilise maximum space for carpet area. 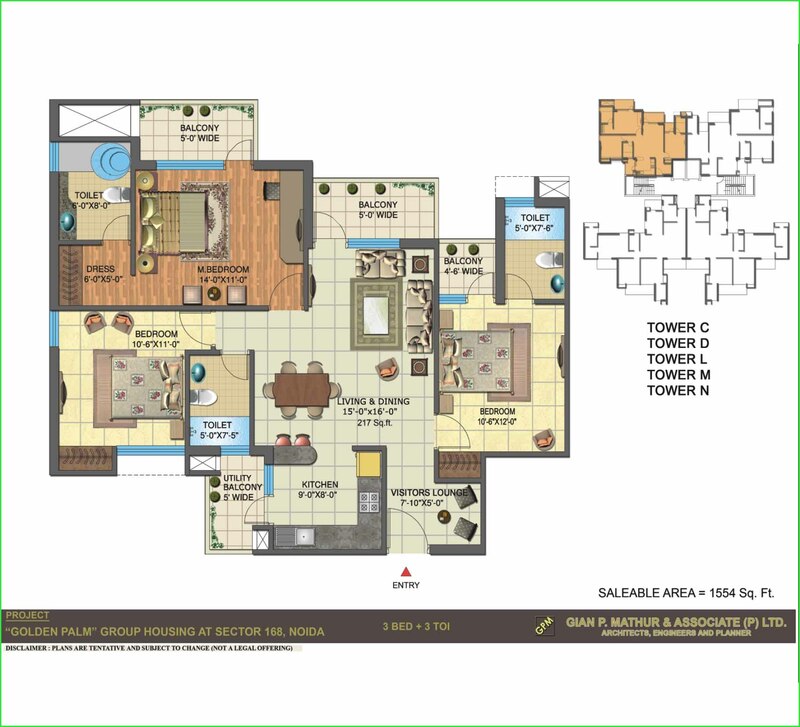 The floor plans of “The Golden Palms” is one of the best floor plans among all the residential projects in that particular location.